Bijou Lovely: bake bake bake. That's all I've been doing so far this week! I've been baking all of the desserts for the bridal shower I'm helping to host this weekend. 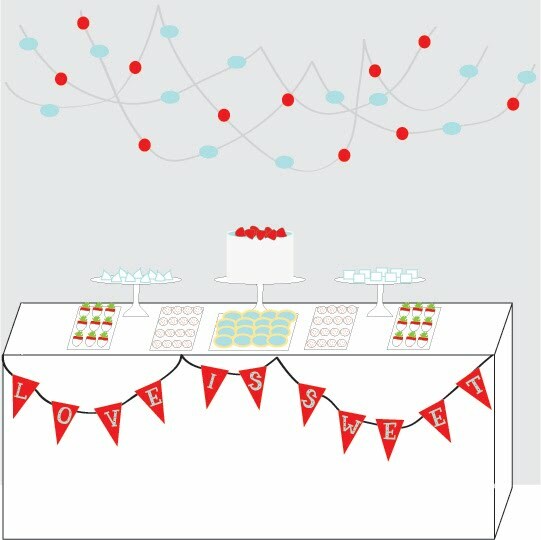 Here's a little sketch of what the dessert table will look like (hopefully). First I made a double batch of red velvet cake pops, minus the "pop" because I realized I didn't have enough sticks. Thankfully they still taste just as good. My husband says the stick just gets in the way of eating it all in one bite anyway. He is the expert on that so I'll take his word for it. 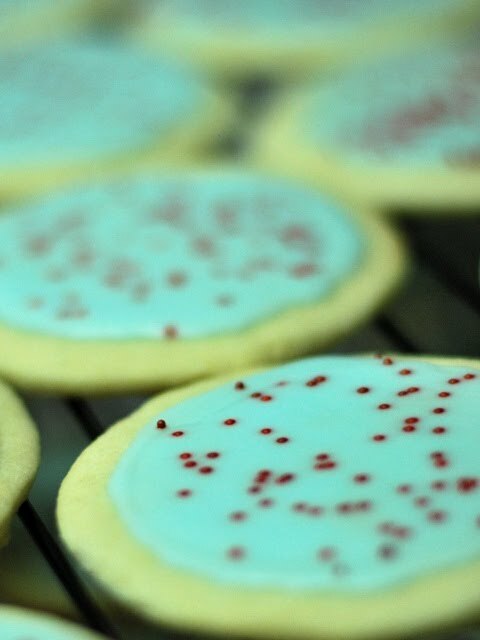 Today I made sugar cookies. 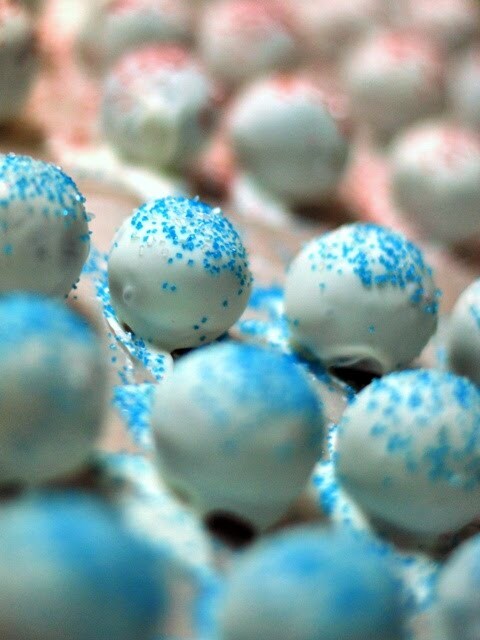 With aqua royal icing and red nonpareils. It was my first time using royal icing, and wow did it make a royal mess in my kitchen. I should have taken a picture of the icing puddle on my counter, but I'm not that good of a blogger. I added more powdered sugar after the puddle incident and managed to actually get some frosting on the cookies. 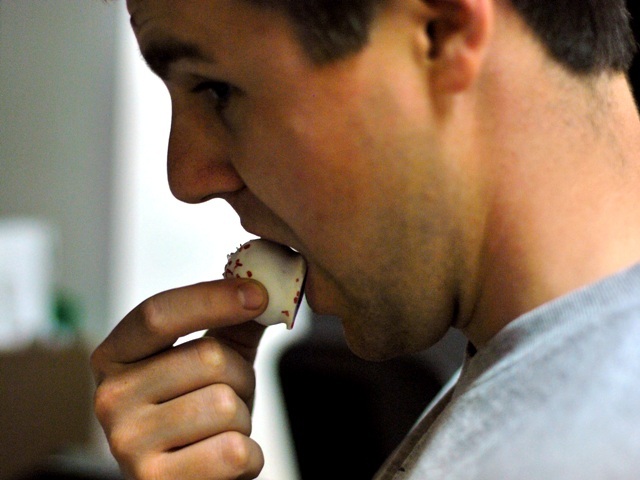 Tomorrow I make peppermint meringues and white chocolate covered rice krispie treats. I love rice krispie treats much more than any 26 year old should. I'm waiting to make the chocolate covered strawberries for Friday night when I get back to Michigan so they're fresh for the shower on Saturday. My mom is making the cake so that's one thing I don't have to worry about! And now I'm off to make some garland and bunting. Sorry for the lack of posts this week...the baking will be over soon! OOOOh, so gorgeous. And yummy looking. I'm helping host a shower on Saturday too! I love your theme and the desserts look yummy! The desserts all look delicious! Your sketch looks gorgeous too - I love how you're going to display everything. 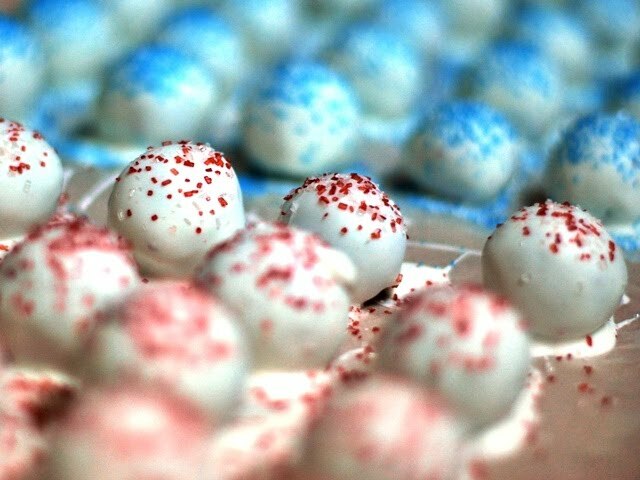 So put your little cake pops (also my favorites) in little candy cups and they look like candy truffles from the fine chocolate store. It all looks so good, I'm sure it will be the hit of the shower. Feel free to make and drop off extras at my house :) Everything looks wonderful and delicious! I love rice crispie treats too!!! I think you need to move to STL so we can be BFFs and you can teach me to quilt, and we can bake a ton.